Price: $57995 - Show and drive! We are proud to bring to your attention a beautiful example of a classic look married to a modern power train… Note the great looking White with Silver coves body, a very nice and shiny paintjob which is very good condition only with minimal imperfections as seen in the pictures. One important feature is the rare and desirable Hard top, in White and also in good condition. Interior is factory correct Red in outstanding condition, nicely complemented by the cup holder which looks like it could have come from the factory when new. It has new seats, new dashpad, 15” replica steering wheel (smaller than the original allowing easier entry), Electronic radio with USB input, improved 2 channel speakers (original Wonderbar included), quartz replica clock… Dash is in excellent condition, all gauges and instruments work. All lights work too. A new windshield was installed two years ago. Best part about this Vette is that it is powered by a small block GM 350 engine, a crate engine which was rebuilt some 6000 miles ago putting out an estimated 300 HP. It is nicely detailed and endowed with headers, MSD throttle body fuel injection, MSD 6A Atomic Electronic Ignition, MSD tach drive distributor, blaster ignition coil, Chrome intake manifold, Alternator and hose covers. Needless to say, with the upgraded Fuel injection, you get plenty of power, reliable drive, better performance. Fuel system as follows is two years old including gas tank, in-tank fuel pump, return fuel line, fuel gauge sender, fuel regulator, fuel pressure gauge and fuel lines. Transmission : 4 speed Muncie manual transmission that shifts and runs excellent, the axle ratio is believed to be a 4.11:1. Brakes: 2 year old front disc brake conversion. Brakes are in excellent condition (original brakes included). Undercarriage: The chassis, exhaust system, suspension and steering system are all in very good condition with no known rust. Body: The body is in excellent condition with no known accidents. The Chrome looks excellent from 10 feet but has some small scratches here and there. Tires: wide whitewall Silvertown radials P215/75R15 with 90% tread life remaining. Original wheel covers in very good condition. There is a spare tire and jacks that are not original. Trunk liner is excellent, trunk mat is not original. Beautiful red car cover included. 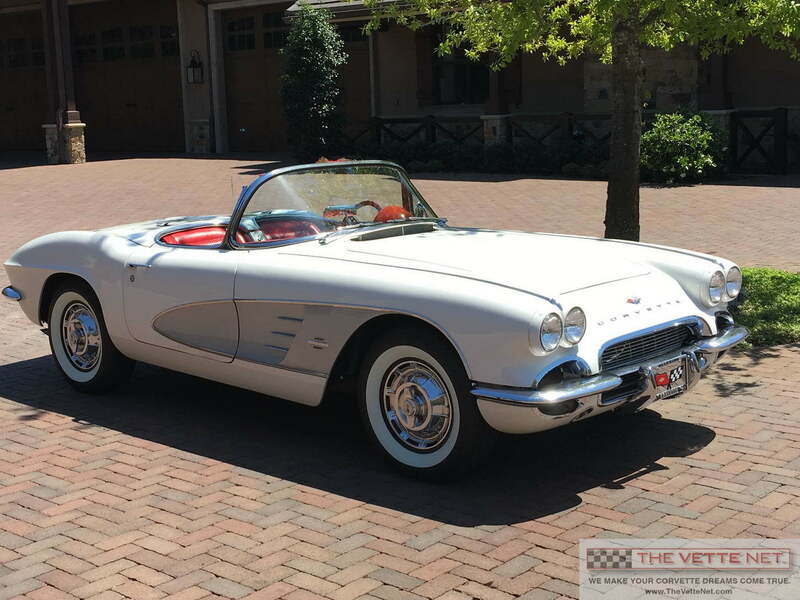 Here is your chance to own a Corvette which retains the classic look and feel and can also be enjoyed regularly. It is in great condition, needs nothing, but a new good home.